Ripe pineapples are a good source of vitamins. With a sweet yet tangy tropical taste, you may be surprised to learn what vitamins are in pineapple. Sometimes we associate terms like healthy or good-for-you with foods that lack taste, but pineapples are full of flavor, vitamins and minerals. Pineapple not only tastes great, it's good for you! Along with vitamins and minerals, eating raw, fresh pineapple or drinking fresh pineapple juice provides a number of beneficial enzymes to your diet. 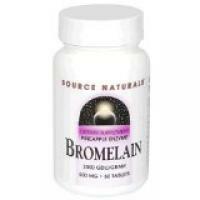 Bromelain can also be purchased as a supplement and is sometimes called pineapple enzyme. Along with enzymes and vitamins, pineapple is rich in minerals. It is an outstanding source of manganese. If you eat just 1 cup of fresh pineapple you'll supply the following minerals to your diet. Along with these minerals, trace amounts of several other minerals are also found in pineapple. Know the Side Effects of Too Much Vitamin B12 By Erin Coleman, R.D., L.D.